Intake forms will need to be filled out as detailed and as accurately as possible in order to provide all the necessary information needed to better serve you. A detailed look into your personal history for vital pieces of information needed for a proper diagnosis. Examples include: a mechanism of injury, a history of injury, work related factors, lifestyle choices, and of course a thorough medical history. 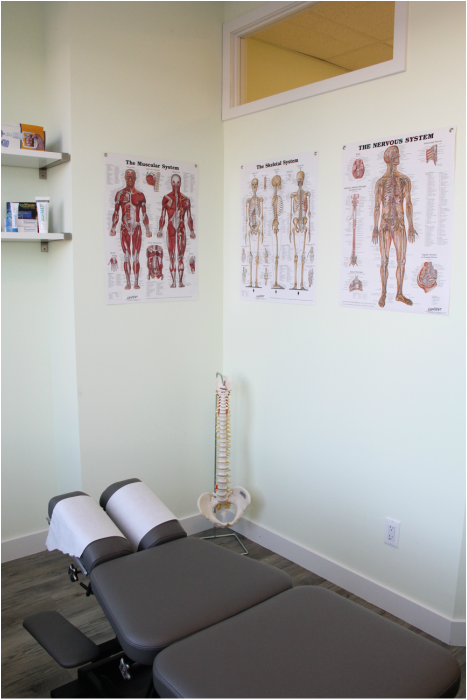 Chiropractors are equipped with a multitude of orthopedic, medical, and functional tests that they may use to further narrow down the list of possible diagnoses. These tests are non-invasive, however, generally try to recreate the primary pain the patient is experiencing in order to more accurately determine the root cause. It is crucial for the patient to provide as detailed and as accurate information as possible for both the history and physical. Once the questions have been asked and tests have been done, the Chiropractor will present your diagnosis. However, should there be a need for additional medical testing, your Chiropractor will direct you to the appropriate health care providers in order to come to a proper diagnosis. Once the diagnosis has been made, your Chiropractor will outline the plan of action that will best manage your condition. This plan may include passive treatment protocols (provided by the doctor), active treatment protocols (executed by the patient), and medical referral should there be a need. During this time, you will be have a thorough explanation provided as to treatment protocol, any risks associated, and the expected benefits of the plan. You will be asked for consent to proceed with treatment, and it will only be with this consent that any form of therapy will commence. Any questions or concerns that you may have will be addressed prior to treatment, so feel free to ask! Once everything has been understood and the appropriate documents completed, your personalized treatment plan will begin. Each session varies in duration depending on what your condition requires on that day. On each subsequent visit, an update of your condition will be taken prior to treatment. Any other questions? Please feel free to contact us!